Ohio University students who are majoring in chemistry, biology, microbiology, and other STEM fields need look no farther than East State Street for an unmatched employment prospect. They will find many OHIO alumni already at home there. Quidel offers outstanding internships, part-time employment for students, and post-graduate career opportunities. Quidel Corp., which has offices in San Diego, Ireland, Massachusetts, and Germany, also has a branch in Athens, where many OHIO students have put their degrees in the sciences to use through internships and post-graduate employment. The company is currently at the fore of research for autoimmune and inflammatory diseases, bone health, respiratory illnesses, hospital-acquired infections, Grave’s disease, cancer, osteoporosis, diabetes, and STD testing. Formerly known as Diagnostic Hybrids, the company was purchased by Quidel Corp. in 2013. This has proven to be a mutually beneficial endeavor. “I really like that San Diego has invested in us, especially in putting in new equipment and allowing us to manager our groups as we have in the past,” says Nicole McCarley, OHIO alum (’99) and Quidel Associate Director of Operations (Athens branch). “They’re very conscious of the fact that we were an entity on our own and that we understood what our products were. Every year we get a new product or project to do, and that’s what really makes our work exciting,” McCarley adds. Based in California, the company has a long history of bringing cutting-edge diagnostic medical products and innovations to the public. The corporation is “the largest manufacturer of cell culture products in the world. Quidel offers many conventional and proprietary cell line products under the Diagnostic Hybrids (DHI) brand for use in viral detection and identification,” the company explains. In 1997, Quidel cleared the engineering of the “ELVIS” cell line product, which helps diagnose the herpes virus. 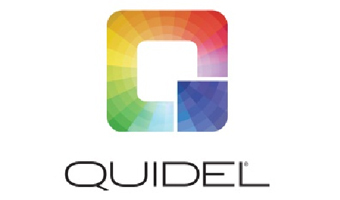 Currently, Quidel employees are at work on three primary platforms: 1) living tissue cultures, antibodies, and viruses (including influenza), 2) molecular manufacturing, and 3) the ELISA manufacturing platform. In addition to the importance of this far-reaching research, the company maintains its focus on the value its employees bring to the workplace. Connect with Morgan on LinkedIn. Kaitlyn Wallace, an OHIO sophomore studying Forensic Chemistry and Biology, worked part-time at Quidel as a Lab Assistant with Quidel’s Research and Development team. In this role, she maintained the cleanliness and sterility of the labs, in addition to helping with inventory, instrument calibration, and order facilitation. Wallace noted that Quidel was happy to accommodate her busy academic schedule. During the school year she worked nine hours per week, though she was able to work more—even up to 35 hours per week—when school is not in session. 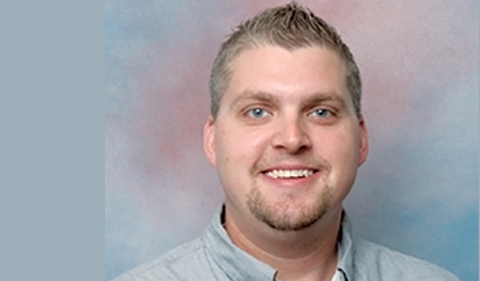 Nate Chapman, an OHIO alum (’04) and Quidel’s current Associate Director of Molecular Manufacturing (Athens), encourages students to follow Wallace’s lead and apply to Quidel for hands-on work experience. 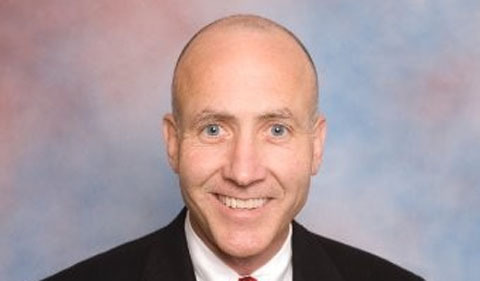 Connect with Chapman on LinkedIn. “If you can come here and give me two or three years, knowing that you aren’t going to be here permanently, I’m happy to teach you as much as you’re willing to learn. I can increase your stock if you give me 2-3 years of great work ethic and 100% of what you have to give. You can become much more valuable going somewhere else, if that’s what you desire to do, just by coming here and being a sponge: soak up as much as you can here, and go be valuable for someone else. I am perfectly okay with that,” Chapman explains. Chapman also encourages STEM students to apply to Quidel upon their graduation from OHIO. “I’d love students to know that you don’t have to go to Columbus or go to a big firm to find a job in the science industry. We have a number of opportunities here that come up on a regular basis,” he states. Self-motivated, diligent applicants with a broad base of technical knowledge are especially appealing to Quidel employers. “Familiarity with a large array of equipment is always very good. A general working knowledge of FPLCs, HPLC, centrifuges, hoods—all those biological techniques that you learn by participating in labs or working for a researcher, those are very important,” says Nicole McCarley. McCarley also emphasizes the importance of being a self-starter with a great attitude. “I look for someone who will be willing to put in the hard work, even though it’s not glamorous. It’s not glamorous to harvest 500 flasks in a week, but it needs done, and if you’re going to do it, do a good job. You have to be happy about it and ask to do more. Be motivated. Those are the people who get the attention of those who are in leadership roles,” she remarks. Quidel’s Athens location is primarily a manufacturing site, featuring an engineering support team and a quality assurance group that ensures FDA compliance and the retaining of ISO certification. 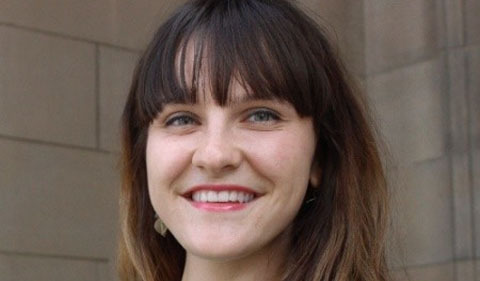 “Students can gain a lot from this type of experiential learning,” Morgan says. 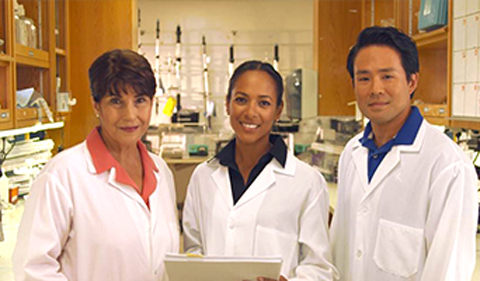 The Athens branch offers 12-week internships, which can include research in cell culture, engineering, quality assurance, and other STEM areas. Emily Keil-Loudner, OHIO alum (’14, ’16) and a Quality Control Technician II at Quidel, emphasizes the importance of completing internships. “Always do internships, and get broad experience because it’s always good to try something new,” she suggests. Quidel’s internships culminate in the interns giving a presentation of their research findings to Morgan and the branch’s executive leaders. Lydia Seiter worked as a Reagent Chemist Intern for Quidel’s Specialty Products Group in Summer 2017 and proved instrumental to the company’s current research. Connect with Lydia Seiter on LinkedIn. “We were trying to characterize what was going wrong in one of our assays, and Lydia identified the problem,” Morgan explains. In particular, Quidel offers employees and OHIO interns the opportunity to put their classroom training and laboratory skills to work through hands-on experience. To learn more, watch for Quidel jobs on HandShake, Forum’s Career Corner, and the Quidel website. Queries about internship opportunities may be directed to Teju Jondhale, Human Resources Generalist, at 800.874.1517.